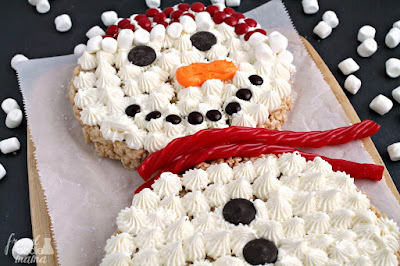 During the holiday season I end up spending quite a bit of my time in the kitchen whipping up tasty goodies for holiday get-togethers, classroom parties, and for family & friends. 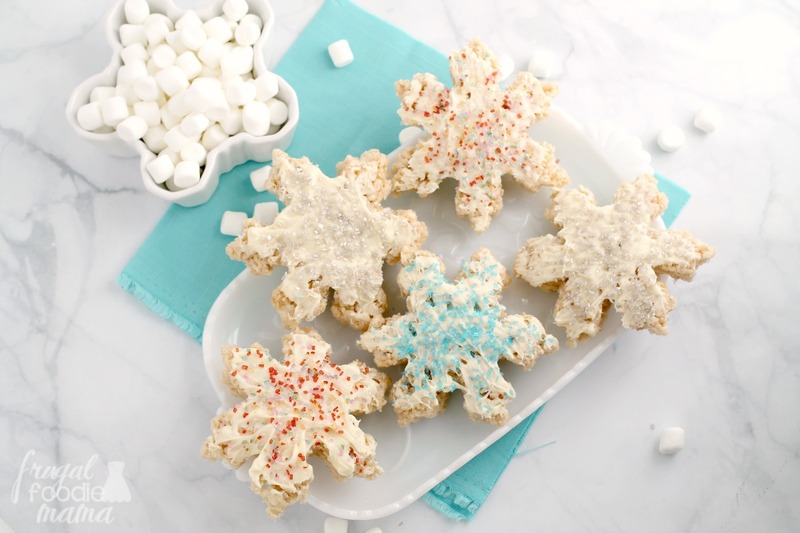 Often times, I like to get the kiddos involved whether it is just them helping to cut out the cookies, decorating them with sugars or sprinkles, or helping me give a classic treat a fun & festive twist for the holidays. In large saucepan, melt the butter over low heat. Add the marshmallows and stir until completely melted. Remove from heat. Add the Kellogg's Rice Krispies cereal. Stir until well coated. Turn the mixture onto a large piece of parchment paper that has been coated in cooking spray. Using a piece of waxed paper or parchment paper flatten the mixture into a sheet about 1 1/2 inches thick. Let it cool to room temperature. 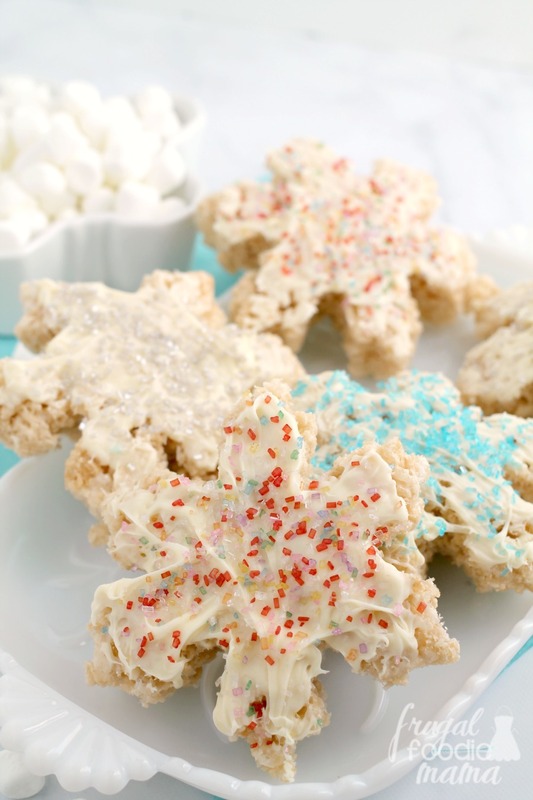 Once cooled, use a large snowflake cookie cutter to cut the sheet of Rice Krispies Treats into snowflakes. 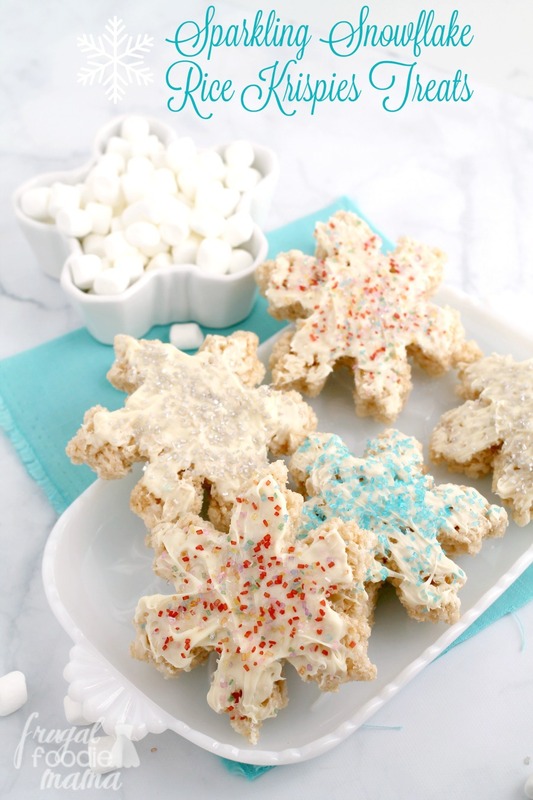 You should be able to get at least 8-10 snowflake shaped treats from the batch depending on how large your cookie cutter is. Melt the candy melts according to the package directions. Brush the melted white chocolate onto each snowflake Rice Krispies treat with a small paint brush, and then quickly sprinkle with sparkling sugar before the coating sets. Allow the candy coating to harden and set. Serve immediately or within the first 1-2 days. 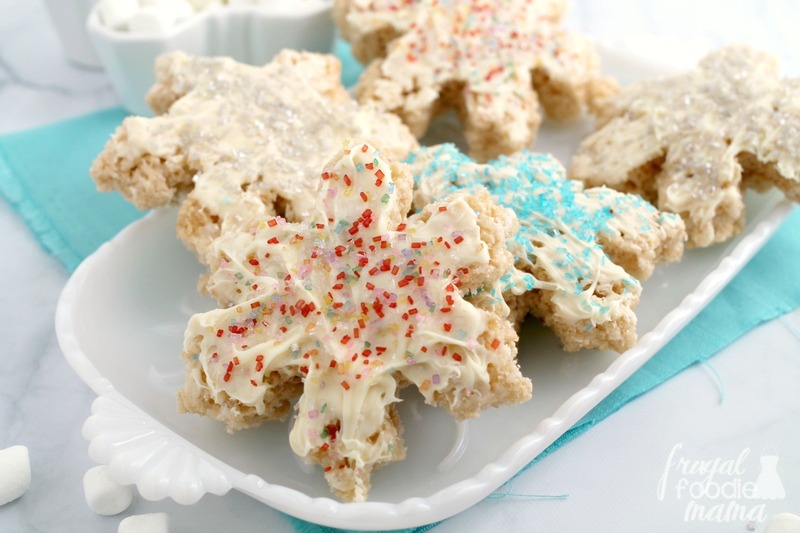 *Recipe adapted from The Original Treats recipe from Rice Krispies. 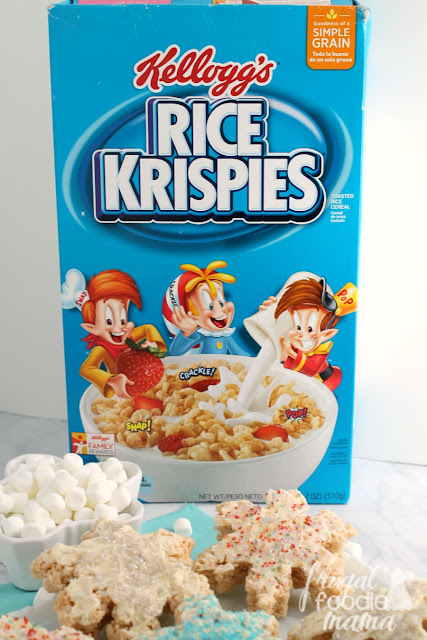 Be sure to follow Rice Krispies on Pinterest, Facebook, & Twitter for even more fun holiday recipe inspiration!